Sticking With Java Or Shift To Kotlin: What Should Android Developers Do? Students of the last year were already confused with the thought whether to shape their career as an Android or iPhone developer. 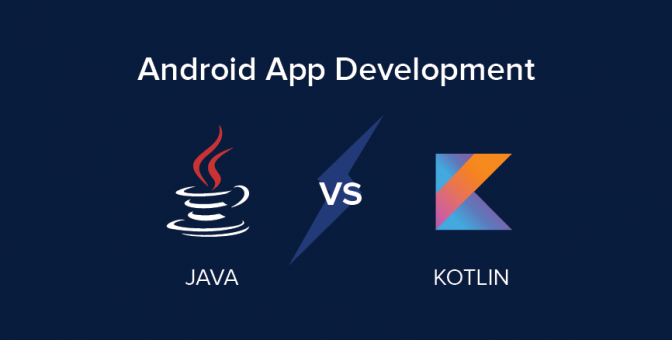 Now, if they have reached the conclusion of Android, Google has brought an added confusion: If Android, whether Java or Kotlin? I know the dilemma is a big one. This confusion is not just for the students but also for the established and experienced developers whether to use the traditional Java or advanced Kotlin. Yes, I know making a decision at this moment is tricky which is why I am here to guide you. Well, I can just suggest, the ultimate decision lies in your hand. Before wasting a single moment I would like to give you the conclusion. If you are a fresher, putting your baby steps in the development industry for the very first time, then it is Java for you, my friend. If you are already a Java developer and have an immense amount of experience in this field, it is Kotlin for you Pal. Its tough for the newbies to jump right off to learn something which is new in the market. But, those who have survived the market, can explore the nuances and lucrative Android market. Well, if you are cursing me Kotlin being the new language, more productive ones and now also the official language announced by Google, why the suggestion of Java? You won’t be following it blindly. You might be thinking this person might be insane or out of technical knowledge to suggest such a thing. But, hold on…let me explain what I said and why I said. You need to know Android app development is not big of a deal, not a kind of community where companies are waiting for you as soon as you are done with Android training. In such case, when you initiate your career with a wide community of Java which directly relates to the increased chances of job opportunities. You have a bigger market to explore and bigger community to be a part of. Also, you can easily find a reputable Android training institute to get enrolled, gain the skillset and get started with your journey as an Android developer. For Kotlin, finding an institute and a good one is really difficult. More people are on the learning stage and very few on the expert stage. So, yes one of the reason, the beginner should begin with Java. Coming to another reason and proving why I am not an insane person giving you this suggestion is troubleshooting sources. Hit the Google with any question relating to Java, you will be showered with plenty and correct solutions. Now, try the same with Kotlin, my friend you won’t get enough and accurate solution. Being a beginner, you will face a handful of problems and challenges but you can always run to Google and get them solved. Kotlin is new and less explored and hence you don’t have many resources for that. Why Should Java Developers Learn Kotlin? Now, let me prove the second suggestion I made. 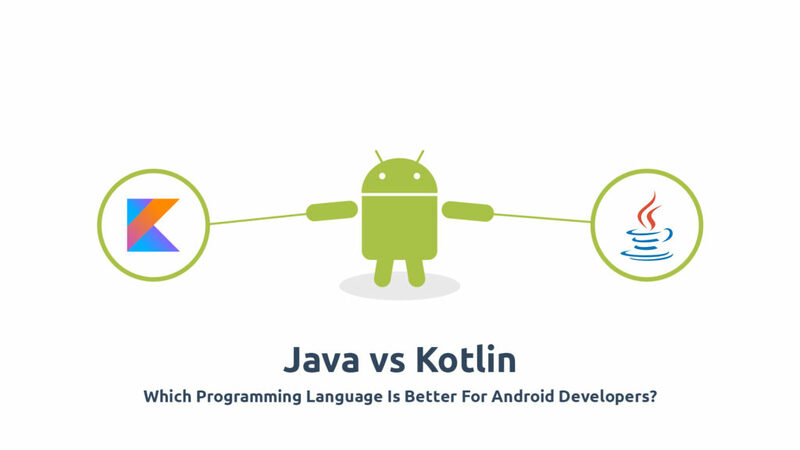 Kotlin is the newer programming language and basically the improved version of Java. Two things can be achieved at the same time with java: Time saver and productivity booster. A class which will need 30 to 40 lines of code can be replaced with just one if you shift from Java to Kotlin. Boiler-plate code can be set aside. Say, for example, the need for specifying equals(), toString(), hashCode(), or getters and setters() will be totally eradicated with Kotlin. Kotlin will auto-generate all of this. Kotlin is entirely interoperable with Java and its bytecode is generated by Java and the good news is you can make use of your favorite Java libraries and frameworks in Kotlin. Well, at present a majority of the apps are in Java but looking forward to the way Kotlin is being accepted by the Android developer’s community and the benefits it avails soon the table is going to be turned. So, now that you have explored Java enough, it’s not such a bad idea to turn your ways towards Kotlin. To the freshers, even though Kotlin is advanced, Java has been here for a long long time and isn’t going anywhere soon. So, take your time and get started with the Android training picking Java language and for the existing experienced ones, just go exploring Kotlin.